Professional income tax preparation at economical prices. Hours by Appointment, Including Evenings and Weekends. IRS Choosing a Tax Preparer Suggestions. 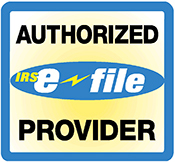 Electronic filing is a fast, reliable, secure and affordable service provided by tax preparers. Meet my office assistant and find out what she thinks of commercial tax preparers who promote REFUND ANTICIPATION LOANS. Copyright © 01/01/2000 - • Joe Lilly, CPA • All Rights Reserved Website created and managed by: Bizness Concepts, Inc.